Your windows are not just a way to look out of or into your home but an important design element. While it is possible to leave windows completely bare, most of us prefer to use some form of window covering, not just to soften the look but also to provide privacy and control light. 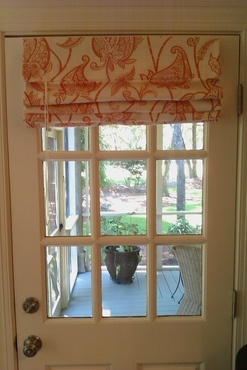 No one correct answer for every window in your home exists, so we will compare curtains and shades, two popular options. Curtains are a good choice in formal rooms such as living rooms. However, curtains are not as practical in kitchens and bathrooms where space is at a premium. Shades work better in these areas. However, it is also possible to use both shades and curtains on the same windows to get the advantages of both. Curtains offer various levels of privacy and light control. For example, in a living room, there may be sheers to filter light and provide some privacy during the day, and heavier curtains to draw shut in the evening for additional privacy. Shades do not filter light the same way, but they do provide complete privacy when closed and can shut out all light in a room, which can be very useful for someone trying to sleep during the day. Curtains can be installed either as a DIY project or by professionals. Sewing your own curtains requires skills and equipment. Instead, you can buy ready-made curtains or order professional custom-made curtains in any fabric or style. The professionals can then install the hardware and hang your curtains. Shades are more challenging to install and should be left to a professional. It is important to measure accurately because the shade should fit snugly inside the window frame without leaving gaps. Once they are installed, they are difficult to adjust. Once you have purchased pre-made or custom shades, the roller assembly is attached inside the window frame, and then the shade is adjusted to fit. Costs for curtains and shades vary widely depending on the materials selected. For eight 27-inch windows, expect to pay between $435 to $535 for the shades, with an additional $230 to $750 for labor. The hardware will add another $20 to $25, for a total of $685 to $1,310. The cost of covering eight 27-inch windows with curtains can vary even more depending on the materials used and hardware selected. If you DIY with inexpensive materials, you can complete the job for $400 to $600, but a professional installation of custom-made curtains can be as high as $2,000. There are differences between the cleaning requirements of curtains and shades. As long as they are made of washable fabrics, it is usually easy to take curtains down, wash them, and then re-hang them. If the curtains are made of more delicate materials, such as velvet or have specialty linings, they need to be professionally dry-cleaned. Shades almost always need professional cleaning if they become stained or absorb scents from the environment, but it is likely that they will not require as much cleaning as curtains. They can be vacuumed to remove dust and fluff that may accumulate, but that is harder to do with curtains. If you are looking for energy-efficiency in your window coverings, both curtains and shades can be a good choice. Cellular shades 1 are specially designed with air pockets that insulate your home from both heat and cold, and even flat fabric shades made from heavy materials or with insulating layers can keep heating and cooling costs down. Thermal-backed curtains can also provide good insulation. 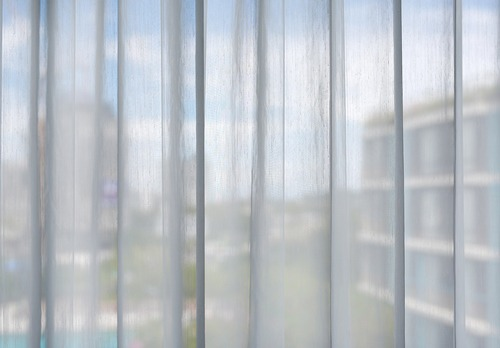 The average life expectancy of curtains ranges from 3 years for sheers to 5 years for lined curtains. 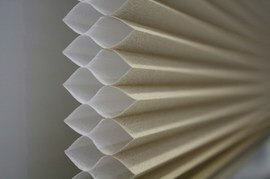 Cellular and Roman shades 2 can last from 5 to 7 years before needing replacement. Curtains are a safer option for homes with small children and pets because they can become tangled up in the pull cords needed to raise and lower shades. While some curtain systems are operated with cords as well, there are many styles available without cords. According to the Window Covering Safety Council, single cords should be as short as possible, and anchors can be attached to the wall to keep continuous-loop cords permanently out of the way. Cord stops should be used to limit the cord’s movement, and there should be no furniture within a child’s reach of a cord. How much does it cost to install curtains or shades in my city? Cost to install curtains or shades varies greatly by region (and even by zip code). To get free estimates from local contractors, please indicate yours. Cost Considerations: Roman shades run between $50 to $100 for a 27 inch window. 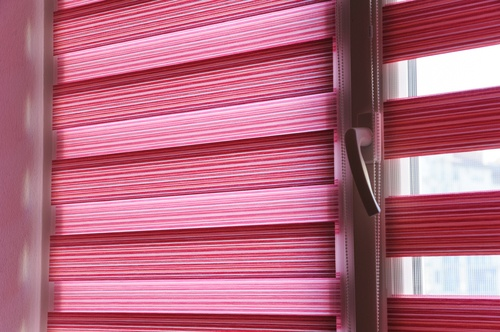 In terms of shade type, they generally cost more than honeycomb shades, are roughly the same price as pleated shades, and typically cost less than woven wood shades.